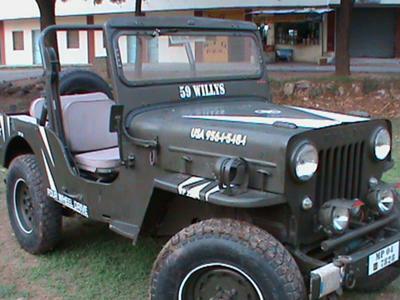 I have a 1959 model Willys Jeep. I love so much my Jeep. It's completely strong and best for every type of road and condition, complete 4x4 with big 7-50-16 tyre size. 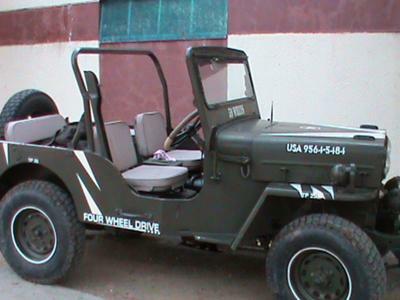 Larry's Comment: Praveen...was your Willys converted to right-hand drive, or was it originally built in India under contract with RHD from the factory there? With the high hood it appears to be a Kaiser Willys CJ3B. Do you have any history of where it originated? Either way it is a nice looking Jeep! One more thing...in the third photo above, is that a flip-flop hanging from the undercarriage in the front...or are my eyes playing tricks on me...ha? 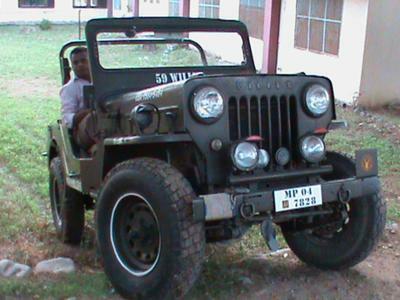 Congratulations to have a JEEP in todays world. It's our endless love for this super vehicle. 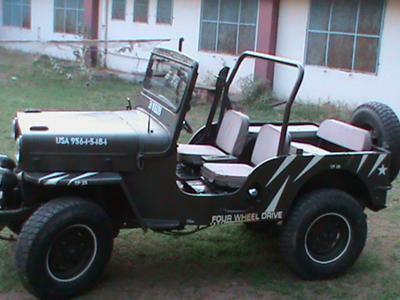 See my Jeep on "Queen of Indian Roads".